The main difference between conscience and superego is that conscience pays emphasis on the personal identification of moral actions while superego is heavily influenced by external influences. Accordingly, conscience is a part of the superego and accounts for the part that provides the moral guidance and the results for actions. According to Freud’s model of the psyche, conscience is a part of the superego. However, modern psychology has identified limitations to what Freud has highlighted as conscience in the superego. Superego consists of moral conscience as well as the ideal self while conscience consists of what an individual identifies as morally good and bad things. Thus, there is a distinct difference between conscience and superego. Freud identified conscience as a part of the superego. Conscience is the psychological faculty by which the individual becomes aware of and responds to the moral result of one’s actions. Consequently, when he/she commits a good deed, the conscience will respond to it as a meritorious act, thereby making that particular person feel happy and valued. Similarly, when the same person does a bad or evil deed, conscience responds to it as a sinful act; therefore the evil consequences have to be suffered by that person in the form of punishment. Usually, this concept of punishment is the mental agony that person suffers by his/her guilty conscience. In brief, conscience is the part of your personality that helps you to determine between right and wrong. Hence, there is more of personalized moral conscience in this. Thus, it is the conscience that gives moral judgments to the results of the actions of a person. Moreover, Freud pointed out two subdivisions of the human conscience: good and the bad conscience. Nevertheless, Freud’s use of the term of conscience leans more towards the accusing, punishing, and bad conscience. Hence, it highlights more on the impact of the bad conscience. Thus, this made many psychoanalysts to argue the one-sidedness of the Freud’s examination of the human conscience where no complete attention is paid to the total aspect of the phenomenon of conscience; good and bad. Furthermore, conscience is highlighted as a part of personality as well as a complex, self-regulatory structure comprising mental self-regulation. Also, this assists in highlighting the fact that conscience, since is not influenced by the ideal self unlike superego, has more of a personal or individual outlook. Consequently, conscience will do what the individual identifies as good and suitable for him/her. Superego is one of the elements in Freud’s model of the psyche. 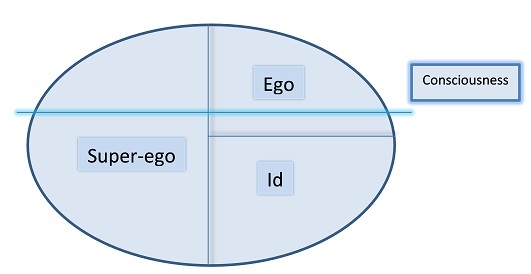 It is the third component which precedes Id and ego. Hence, as Freud points out Superego is the part of the human psyche that is responsible for the conscience (moral conscience) and the ideal self. The two subdivisions of the superego, the conscience and the ideal self, work together to perform the overall function of the superego, which is to control the id’s impulses by giving moral advice. The conscience or the moral conscience is what responds to the activities of the individual through a moral sense. The ideal self, also known as ‘ego-ideal’, is the picture of the perfect self of the person ought to be. It is formulated in accordance with the development process of the superego. Thus, the ideal self is the imaginary perfect self that includes how that person ought to act in the society, and the personality traits he/she aspires to develop. It also includes represent career aspirations, how to treat other people, and eventually the criteria on how to behave in society. Therefore, this part is heavily influenced by the social norms, religious teachings and the guidance of family, and other social ideals. Superego is the correlation of both these parts: the conscience and the ideal self. On the whole, it is the ultimate outcome of the socially accepted moral values and attributes the individual considers to follow. Furthermore, superego starts to develop in at the age of 3-5 (with the Oedipus complex) and goes up to the age of adolescence. The main function of the superego is to impede the primitive urges of the id and provide proper moral guidance as a whole. Conscience is the psychological faculty by which an individual becomes aware of and responds to the moral result of one’s actions. On the other hand, superego is the third component of the human psyche or personality that contains the moral attributes or the conscience and the ideal self. Thus, these definitions explain the main difference between conscience and superego. 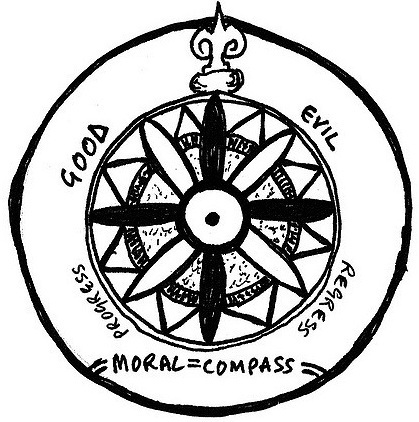 Moreover, conscience essentially includes moral values such as what the individual identifies as good and bad actions and their possible consequences. On the other hand, superego consists of the conscience and the ideal self as the perfect ‘I’ based upon the social and moral standards. Therefore a major difference between conscience and superego is this content. Furthermore, another difference between conscience and superego is that conscience is considered more personal than superego though conscience is a part of the superego. 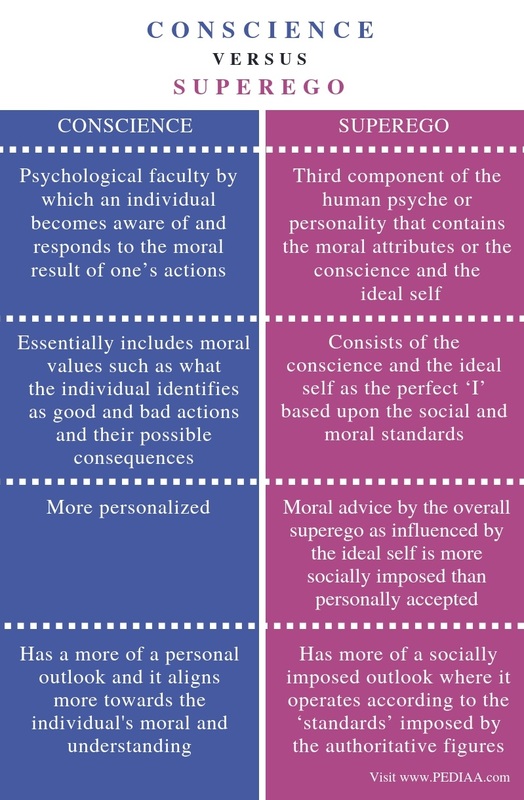 Thus, the moral conscience is more personalized whereas the moral advice by the overall superego as influenced by the ideal self is more socially imposed than personally accepted. Besides, conscience has a more of a personal outlook and it aligns more towards the individual’s moral and understanding. Since superego consists both conscience as well as ideal self, it has more of a socially imposed outlook where it operates according to the ‘standards’ imposed by the authoritative figures. Conscience is identified as an integral part of the superego by Freud. However, there is a distinct difference between conscience and superego with regard to their nature and their operation. The main difference between conscience and superego is that conscience pays emphasis on the personal identification of moral actions while superego is heavily influenced by external influences.